We love heading out to Fearrington Village every once in a while to wander around the shops, have a bite to eat, and stroll the grounds. I particularly love checking out the newest additions grazing in the pastures- the baby belties! 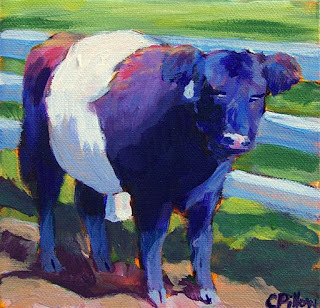 Belties are Belted Galloway Cows, a rare breed of Scottish beef cattle, also called "Oreo Cows". They are so stinkin' cute!